The energy and healing powers of crystals have been used for thousands of years. From old world ancient civilizations to modern day alternative medicine, crystals have proven they have amazing abilities. A crystal can act as a conduit for healing and can be used to release spiritual, mental, and physical blockages, balance chakras, for meditation, EMF protection, in combination with herbs and so much more. Most of us have heard remarkable stories about crystals, but don’t really know how to begin using them effectively in our lives. Books are a great resource and we have access to lots of them written by experienced crystal users. I have three new resources of crystal knowledge to share with you that will guide you on how to use crystals productively. 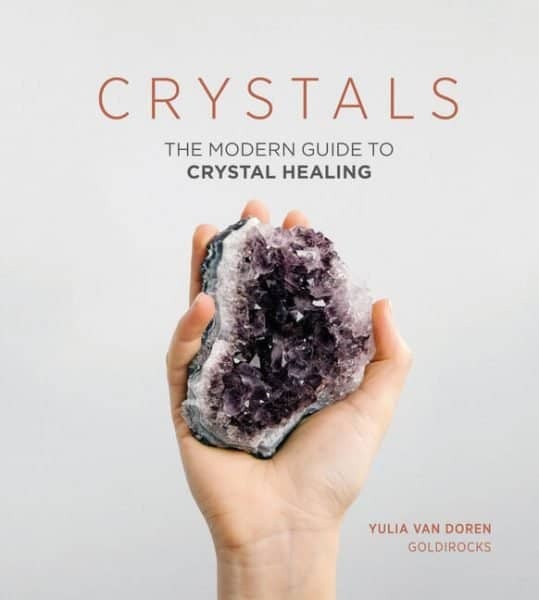 The Modern Guide to Crystal Healing is a great resource whether your a newbie to the subject or an experience crystal user. The book is divided into two sections, Crystal Magic 101 and The Crystals. The first section teaches you how crystals are made, how they work, how to start collecting them, how to clean and charge them, where to place them in your home, which crystals are needed for chakra healing and how to use them in meditation. The second section in an A-Z in-depth guide on fifty-one different crystals. With each crystal, you will learn about color variations, where its largest resource is, which chakra it works well with, how to care for it, if it’s safe around water, its metaphysical qualities and practical application on harnessing its power. Herbs and Crystals DIY will show us how to use plant medicine and crystal energy collectively to heal the mind and body. The book is broken up into four diverse sections, Winter Solstice, Spring Equinox, Summer Solstice, and Fall Equinox. Each section shares a list of DIY recipes, rituals, and projects that will enhance various aspects of our lives. Learn to make a Wildflower and Crystal face steam, Lunar Bath Soaks, Cleansing Ritual Bath, healing balms, candles, a mandala, drinks, tonics, intention mists, dream catchers, immune boosting recipes and so much more. 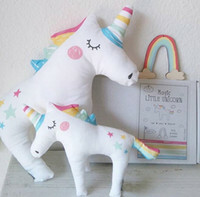 Each DIY project has beautiful images and easy to follow instructions. Some of the ingredients may be hard to find, at least where I live. You may also need tools like a skin roller, hemp rolling papers, wood molds, linen thread and several others. And of course, you will need a variety of crystals. The back of the book has a list of the 20 most used crystals, so you could start with these if you are new to them. Crystals, the Stone Deck comes with a collection of 78 crystals cards and a small user manual. Each card will share how we can them to energize our lives. One side of the card has a vivid image of what the crystal looks like. The other side has information about what the crystal is, who needs it, where to put it, when to use it and what it does. An example is Honey Calcite – it’s a honey-colored mineral whose mission it is to turn the bewildered into super-driver workers. Anyone can use it and it’s suggested you kiss the stone instead of just placing in any location. Use this crystal when you want to break abundance barriers or are tired of waiting your turn. The accompanying user manual shares how to: use the deck, meditate with crystals, make a fashion statement, honor your astrological sign, make a simple crystal grid, keep bad vibes out, get grounded, set an intention, manage long hauls, express yourself and how to take care of your stones. I would love to learn more about the healing benefits of crystals. There is a crystal shop just down the road and I would like to appear somewhat knowledgeable when I speak to the lady who owns it. as a gift for myself! I think the topic is quite interesting. The cards are no doubt beautiful and just having them will make me smile. It’s always good to learn something new. Thus, why I want to win the prize. Thanks for the chance! I’ve been so curious about crystals for a long time, but have never taken a deep look into them. For one, it seemed kind of overwhelming– there’s so much to learn! But it’s SO fascinating. I love that the assortment of items in this prize pack is so varied, yet everything seems to complement each other perfectly. I would love to win this prize to try on my Arthritis & MS. Have always been interested in crystals and how they work on the human body. I also fight with depression mostly in the winter & a few other things !! Would love to win this crystal set, have always wanted to learn about crystals & their properties. I think crystals hold healing properties, would be so excited to add these ones to my growing collection! very interested in crystals and would love to learn more! I am just learning about Crystal’s. I really believe they do work and i.would love to try them to see if I would fell better .. I love crystals and have some at home. I would love to learn more about them! I don’t know much about crystals and their healing and wellness properties, but my daughter is a great believer. I would love to win this for her. I just bought my first crystal. It was to bring around angels. I had it up in a wall sconce. My 3 month old grandson was looking at the sconce smiling and getting excited. I really want to get into the crystals. I just love crystals and could really use some good in my life. I would like to learn more about crystals and their healing abilities. I have read a lot about healing crystals. And I would like to try them. I love crystals but know nothing about their healing properties. I figure it’s time to learn something new. I want to win this because I am interested in crystals. I have recently gotten into crystals, I have a few but would love to learn more. I have been curious about crystals. I want to win this as I am an avid rockhound and have quite a few crystals and other gems. It would be great to learn more about them in a healing manner. I’m interested in crystals and would love to learn more! I do not really know much about this, but it sounds very interesting and I would like to know more. These books sound really interesting, with some hands on projects, which I like. I’m a nut for crystals and herb healing properties. I want to win this awesome prize package for my Aunt Sally who loves crystals. I’d like to win this to learn more about Crystals etc. This is something I’ve been wanting to learn more about! I’m just interested in different kinds of healing. My goal for 2019 is to become more spiritual and educated on crystals and holistic healings. I have quite the collection of beautiful crystals, and would love to learn more about them! I have been curious about crystals and would love to learn more and see if they will be beneficial for me. I believe in the power of crystals but would like to learn how to determine which ones to use. I have always loved crystals and their power, but I can never remember which ones I should use for each situation. A manual like this would help! I have heard other people speak of crystals and healing properties and I would like to try this out for myself. I’m very interested in Crystal healing. I’ve heard a lot of good things and I will try anything that doesn’t involve medication for a variety of problems I have. Crystal healing is something I’m interested in. I have always been fascinated by crystals, since I was a child. Exploring all I can about crystals would be so much fun! 🙂 Thank you. I want to win this prize because I believe in the power of crystals and I’d like to learn more about them. Thanks for the giveaway! I have used crystals for years but could use more instructions. My favorite crystal is rose quartz. Thanks for the giveaway! I’d love to win this for my daughter, who has just started making crystal jewellery! My mother would love this. She does believe crystals have healing properties. I am always interested in learning about new things. I’ve recently gotten into crystals and their healing properties, so this prize pack would be great to expand my knowledge base. My favorite crystal is the quartz crystal although I love them all !! I would love to win because I collect crystals and love their energies and I love to learn as much as I can about them and new ways to use them! I have several different crystal pendants I wear often. I get many compliments on them. I love my crystals…that is why I want to win! I am just starting to learn about crystals. This set would be a great help. I have always been interested in crystals – have used crystals for healing. It would be great to expand my knowledge. I need to bring calm, peace & healing into my life. Hoping to learn about crystals to achieve this. I like to learn more about natural healing. I would love to win this for my daughter in law. She loves crystals. It would be a gift for a friend. I’d love to learn more about this! I love crystals and magical stuff! Very neat and interesting to think about my connection the earth, elements and minerals. So, this is cool to me. I love crystals and would like to learn more about them. I would love to gift this to my sister for her birthday! Keep her safe when we cannot be together! Hoping to learn all about this. Thanks. I have a few crystals but am interested in learning more about them. I have a friend who is into this and now I am a bit curious about it. 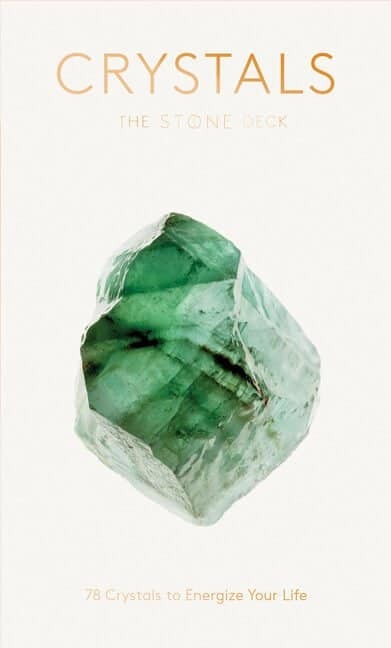 I’ve been looking into crystals for sometime lately and would love this to jump start my crystal library to learn more! I’m very interested in crystals and herbs and would like to learn more about them. Would make a great addition to my library. Thanks! I really am drawn to crystals and many things metaphysical, this would be very beneficial to me! I have a couple of friends that are very into Crystal’s and their healing natures. It seems like a peaceful hobby and I would like to also get into it. Have always wanted to try crystals..not knowing where to start..this would be a nice opportunity to do so…Thank you. I would love to win this because I just simply love crystals and their healing power! Plus, I’ve been having a bit of a rough patch recently, I feel some healing would be good for me and my surroundings! I really need to learn more about this topic! I would love to win! I want to win this to give to my mom who is really into crystals and their healing abilities. Love crystals and so does my 88 year old sister. We would enjoy this set. A good friend of mine just gave me a set of crystals this past Christmas and I’d love to know what each one is used for. I’ve always been attracted to crystals and have a couple of really special ones. They somehow give me comfort and would love to get more. We are moving to the country in about a month and I’ve been learning more about herbalism and homesteading in general. I would love to learn more about crystals and how to use them along with herbalism! I love crystals and they way they make you feel. I haven’t done any studying of crystals but would like to do so. This is a great prize and I hope I win. Cool!! Thanks for the opportunity! I love crystals and finding out all about them and their powers. I only have one crystal book. A little collection between my daughter and I. She loves collecting them too, very educational and it’s in all her shows. I am glad to share this with her. I believe alot of contesters use crystals they believe it’s good luck!!! This is my DREAM prize. A good friend of mine is studying this type of stuff. I think I would make a great gift. Im new to crystals and only have a few that I have acquired and would love to add this one to my collection, I love the powers that crystals provide. I am interested in this because I want a natural way of healing.